Fair highlight from Jonathan A. Hill, Bookseller, Inc.
YAMANE, Takuzo, photographer. Bird’s-Eye of the Far East. Kyokuto Taikan. 149 collotype plates (five multiple-panel panoramas & four double-page panoramas), plus duplicates of plates 63 & 64). 2 p.l., 2, 32, 23, 7 pp. Oblong folio (264 x 340 mm. ), orig. green patterned silk boards with title inset in silk panels on upper cover, sewn as issued, orig. folding cloth case. 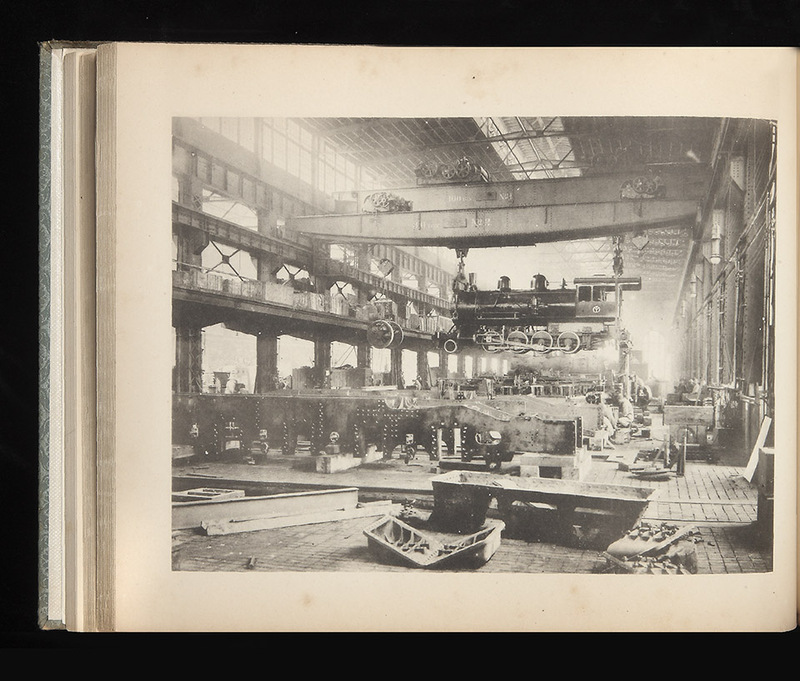 [Tokyo: Nisshi Keizai Tsushinsha, Preface dated 1919, from the original case: “printed in 1920 and published in 1921”]. First edition, with the Preface dated 1919, of this handsome ensemble of photographs depicting scenes throughout portions of Asia, including Shanghai, Manchuria, Japan, and Java. The author traveled for a decade from about 1909 preparing the present work, which documents the influence of Japan across the region. Five of the photographs are arresting panoramas composed of three or more panels, and four are double-page. Descriptive text, printed on facing sheets, in both Japanese and English, accompanies each plate. This work is a companion piece to the author’s equally rare Choko Taikan of 1916 (trans. : Sights on the Yangtze). Many of the photographs illustrate the considerable presence of Japanese and Western businesses in China at the beginning of the 20th century (mining sites, railroad stations, foundries and other factories, agricultural and industrial warehouses, etc.). Other images vary from large landscapes to views of gardens, archeological sites, ports, and culturally important buildings and sites (temples, fortresses, palaces, towers, ). The present work serves partly as tourist guide, partly as an apologia of the benefits of foreign involvement, especially Japan’s. The first appendix, written by Yamane, contains a comprehensive survey of the China, describing its history, population, topography, climate, politics, cultural practices, language, education, industry, agriculture, natural resources, crafts, infrastructure and transportation, and currency. The second appendix, compiled by Kyokuto Tsushinsha, provides information about trade in southeast Asia. The third and final appendix also presents a survey of Japan’s colonial possessions in the South Pacific, taken from Germany in the aftermath of World War I, such as Saipan, Truk, and Palau.